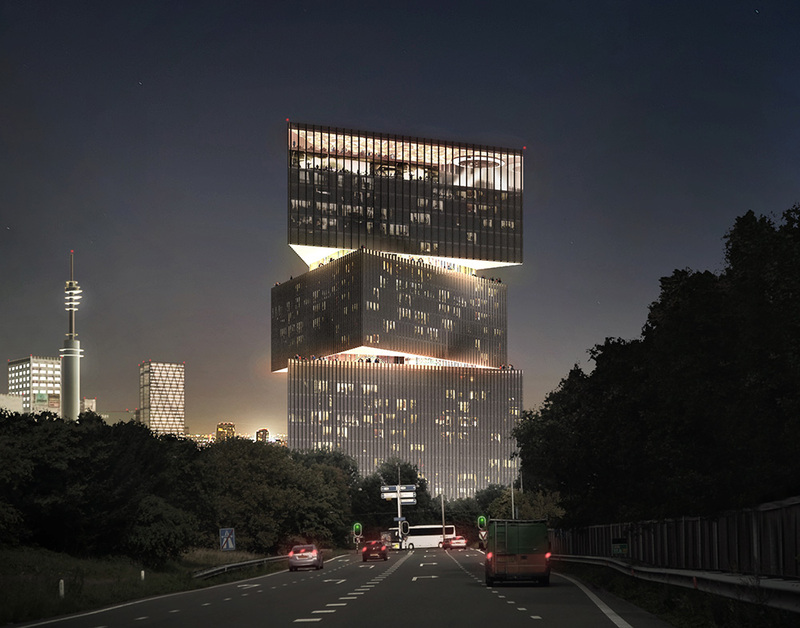 The nhow Amsterdam hotel with its iconic design creates a new landmark of the Dutch capital. 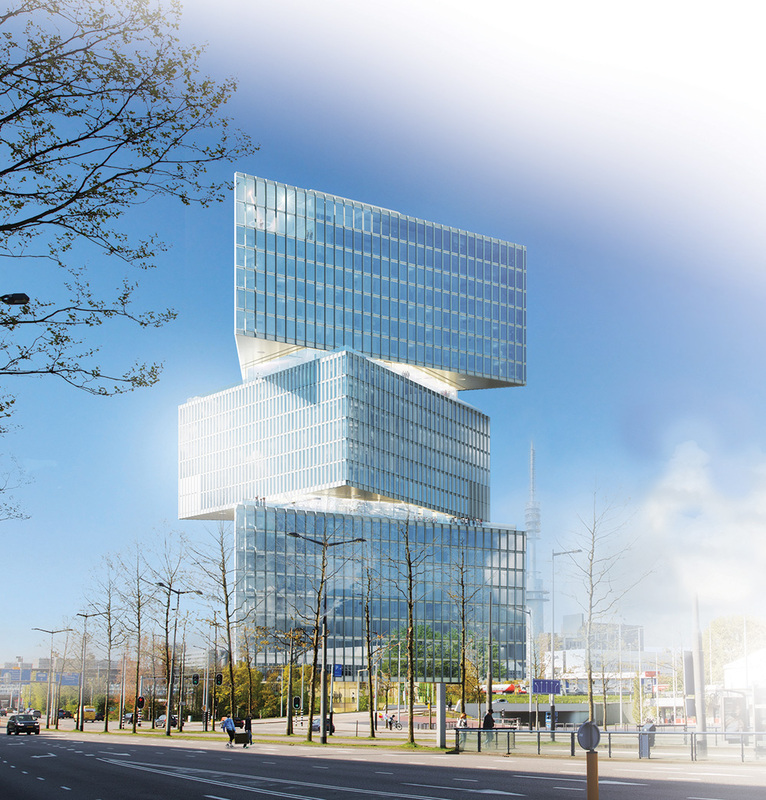 Its 650 rooms on 25 floors make it the largest newly built hotel in Benelux. The building is a 91-metre-tall tower. The architectural design of the building consists of large triangular volumes, cantilevering out from the structural core in the centre of the building without visible construction in the façade. Because the triangular volumes are rotated with respect to each other, the floor plans differ greatly one from another. The furthest point of individual triangles protrudes 12.5 meters outside the façade of the adjacent triangle. In each of the triangular volumes, the farthest point of the floor creates a cantilever of 23 metres to the core. 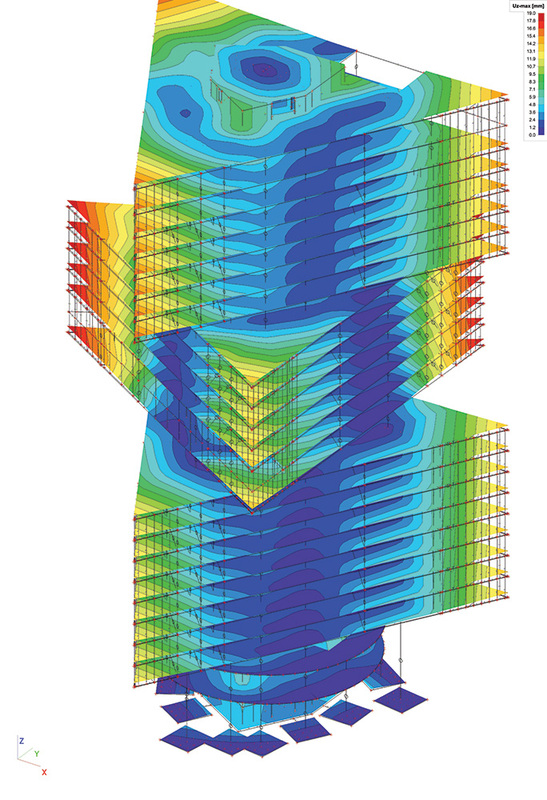 During the initial design phase, SCIA Engineer with its parametric definition of the model allowed the engineers in the Van Rossum Raadgevende Ingenieurs office to make quick parametric studies, compare between different structural options and prove the feasibility of the structural design with regards to the special architecture of the building. 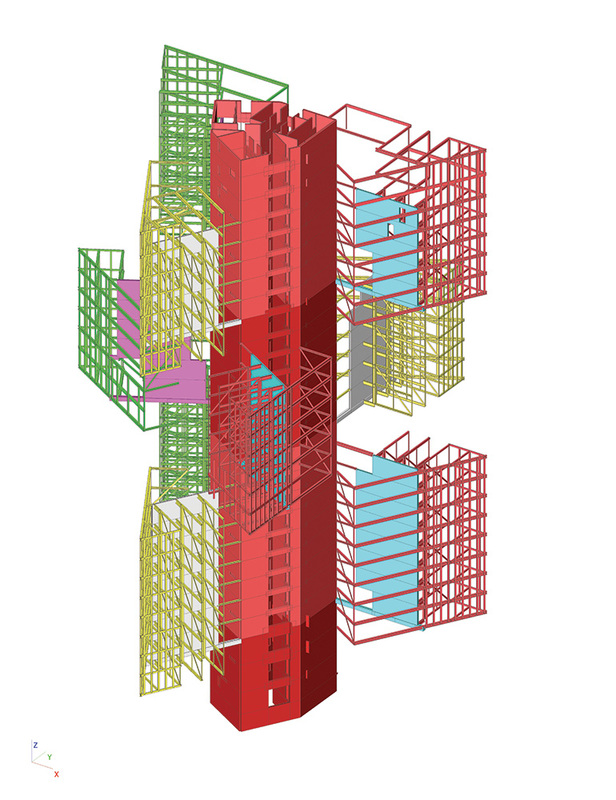 In the final variant, the main load-bearing structure consists of nine columns and a concrete core, with walls cantilevering from this core. 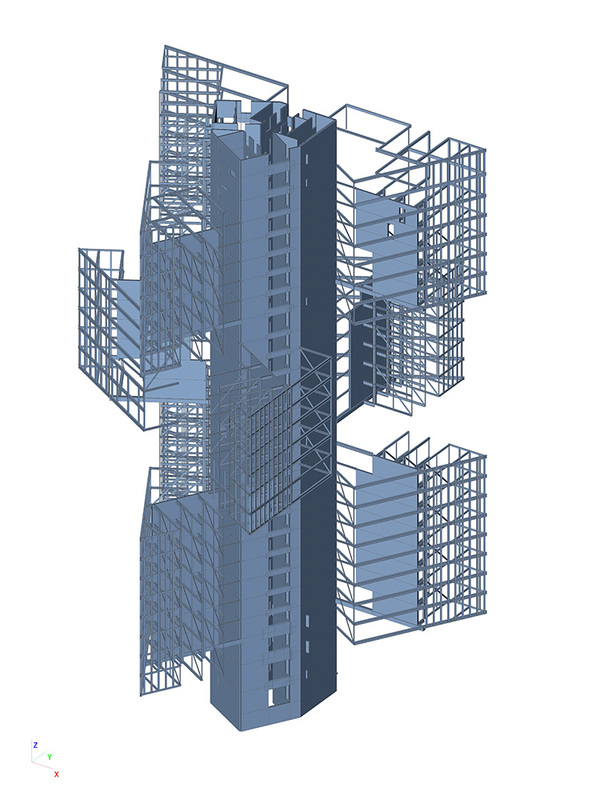 A secondary steel structure is designed to make the second cantilever holding the façade. 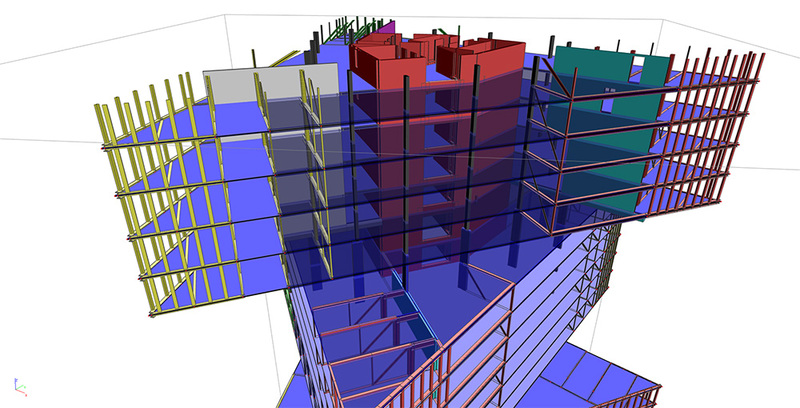 SCIA Engineer was used to calculate internal forces in all the structural elements in the building as well as to perform a stability and dynamics analysis, including the determination of eigenfrequencies and accelerations. 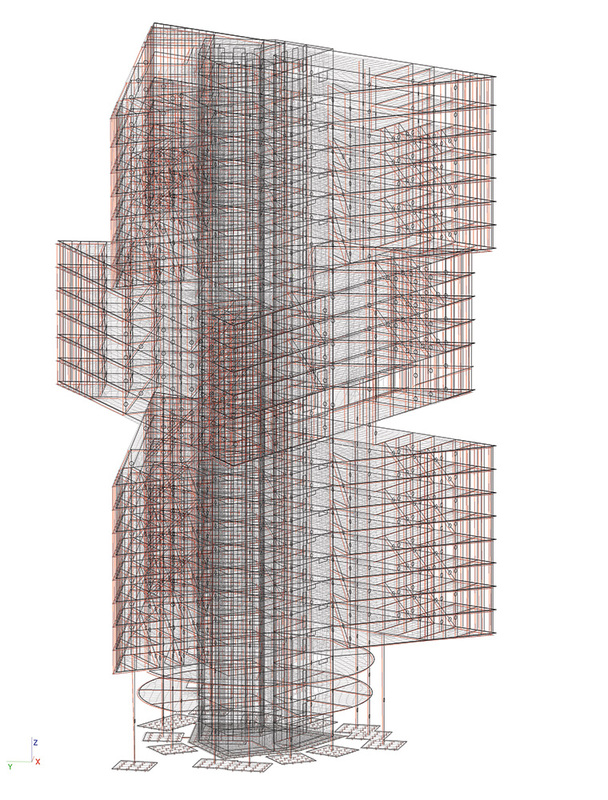 In addition, design forces determined in the SCIA Engineer’s Concrete service were directly used to design the reinforcement in the concrete core.